Learn how to stay off the “front page” when you don’t want to be there. As we all know from today’s 24/7 news environment, legal controversies are first tried in the Court of Public Opinion, and then perhaps in the Court of Law. Because the value of a nonprofit’s reputation is immeasurable — and its largest uninsured asset — a nonprofit loses when its brand image is tarnished. The Court of Public Opinion is arguably the most important battleground affecting not only community goodwill, but that of funders and donors, the board, staff retention and recruitment, and clients. Facebook, Twitter, Instagram, and YouTube are now the places where a reputation built up over years of good work can be shattered in an instant. “Managing the message” is a necessary skill set for nonprofit chief executives, communications staff, and board members. 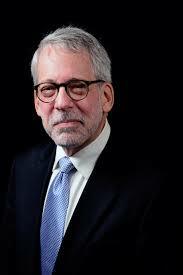 Bruce Hennes of Hennes Communications possesses a highly-strategic approach to crisis management and crisis communications. Mount a defense against an outraged public, unhappy clients, or a sudden press onslaught.